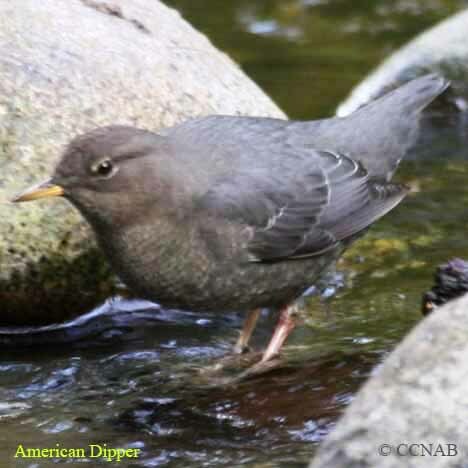 Distribution: The American Dipper was once called the Water Ouzel in North America. 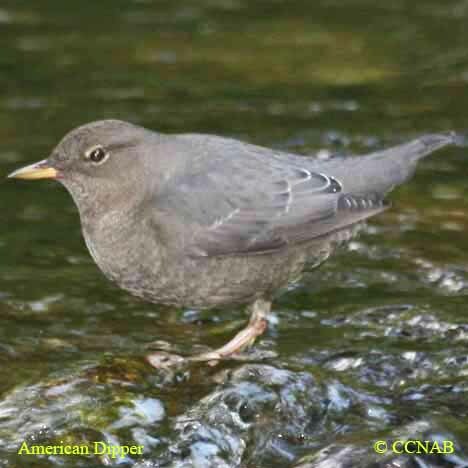 This gray bird is a common sight along Rocky Mountain creeks with flowing waters and a source of minnows. 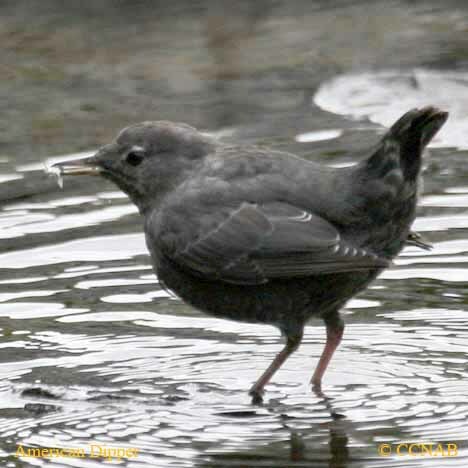 Using their wings they will propel themselves, diving below the water surface and catching small fish. 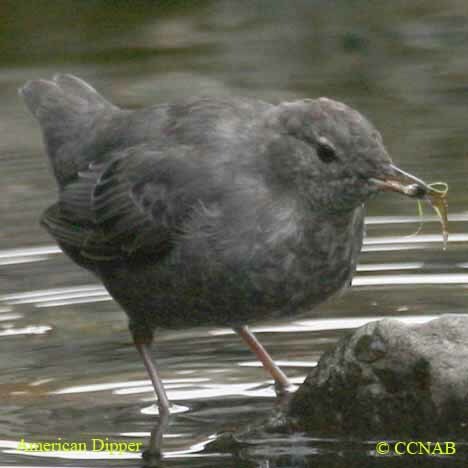 They will even store excess minnows for another meal if the fish are plentiful. 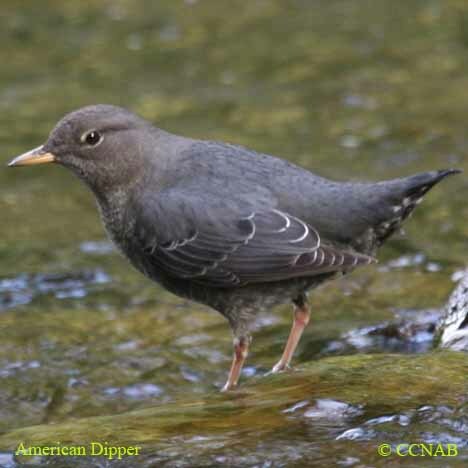 The dipper is seen from the northern Yukon Territory to the northwest coast of Alaska, along the Pacific coast to southern California and north through the central states to northern British Columbia.